Iris ensata (Japanese Water Iris) is a perennial which grows to a height of 0.6m and a width of 1m. It is vunerable to frost, so does best in milder climates. Japanese Water Iris will flower in November to January. The flowers from this plant are hermaphrodite (has both male and female organs) and they are pollinated by insects. 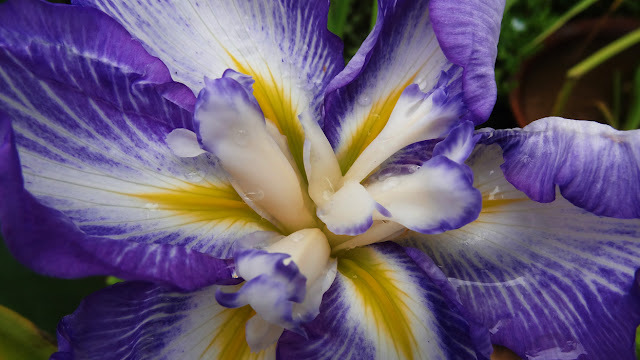 This macro shot shows the intricacy of the centre of the flower and the beautiful colours. Welcome to this blog. 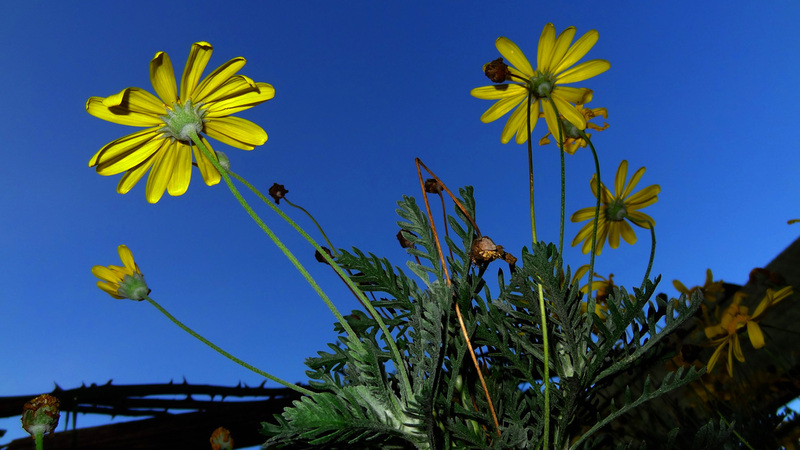 Please join us and share your flower photos every Friday! An African bush daisy (Euryops spp) at dusk. Why don't you share some of your flower photos with us?